It is impossible for you to exist without interacting with people. In our respective journeys through life, we will meet and have interactions with these people. However, it is virtually impossible to tell what a person’s true intentions are. There is always a black sheep who will ultimately make you want to rethink the whole essence of friendship and push you to your limits. Fake people are like this, they are like parasites that take from people while offering little or nothing in return. 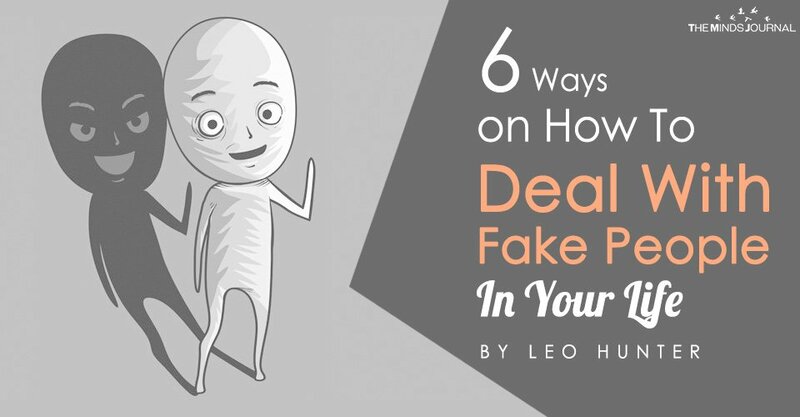 When you deal with a fake person, there is a huge chance that they will manipulate and make you feel used. This is often the result of constant interactions with the fakes. I wish I could simply give you tips on how to totally do away with them. But then, there isn’t a way to avoid them, they are everywhere that you go. It is also hard to avoid them because they often do not appear to be what they are. Generally, fake people are out there to take advantage of you and make you feel negative emotions. They often affect you in ways that you would rather avoid. I have been a victim of fake people and I understand how it feels. However, I was able to set myself free when I eventually decided to reverse the status quo. I was left with either that or being angry about the way fakes treated me. How was I able to do this? When you refuse to succumb to the selfish needs of the fake ones then they lose their power over you. When I was able to make myself free from the needs of their selfish hearts then I was able to do the reverse. The thing about fake people is that once you are able to handle them effectively then you will have the upper hand. Now let us take a look at ways through which you can do to deal with fake people in your life. A lot of fake people are quick to assume that they are sleek and that you cannot notice they are not being genuine. When you do point out the fact that a person is being fake, you throw them off balance. By focusing on healthy communication with such a person, you will find it convenient to take advantage of the situation. When you overreact then you tend to play right into the hands of the person. However, upon noticing fake behavior, you need to maintain your calm. Fake people often expect you to get aggravated. When this happens, it gives such a person the opportunity to strike further. You need to apply intelligence in handling the situation. Inaction is the best kind of action. You need to also ensure to pay attention before you act.